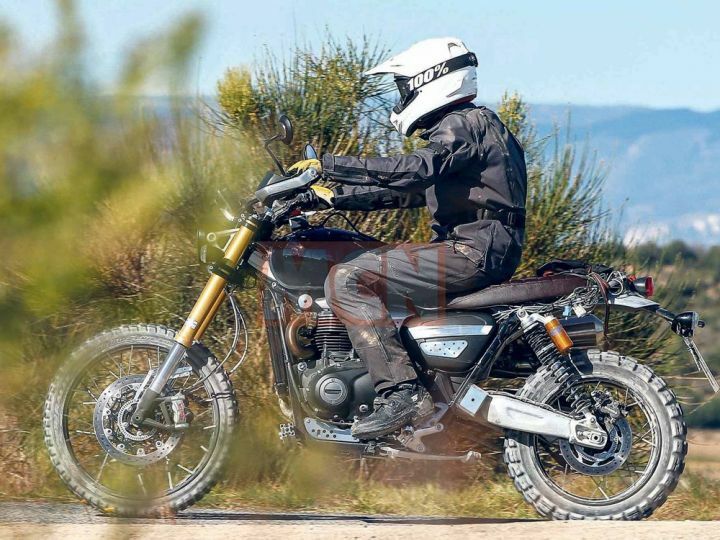 Despite the long-travel suspension, we think the Scrambler 1200 gets a moderate seat height as the riders in the picture are able to place their feet on the ground without much hassle. The premium suspension kit isn’t the only component that enhances the Scrambler’s off-road ability. The new adventure tourer is likely to get 21-inch wheels at the front. In comparison, the Street Scrambler makes do with a 19-inch front wheel. This should improve the bike’s off-road ability, albeit at the expense of being stable enough on tarmac. And since the spokes on the wheels run to the edge of the rims, you can fit in tubeless tyres too. 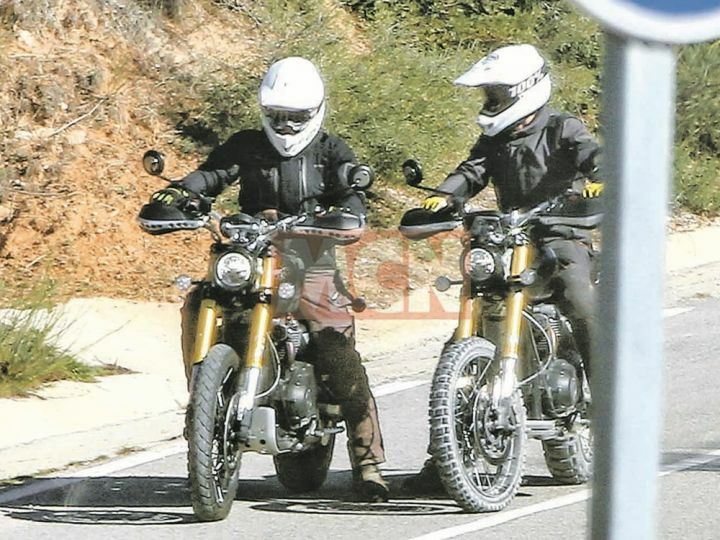 Also, we expect the Scrambler to be offered in two variants – Touring and Off-Road.